Willie Dynamite is a 1974 American blaxploitation film, starring Roscoe Orman, Diana Sands, Thalmus Rasulala, Joyce Walker, and was released by Universal Pictures. 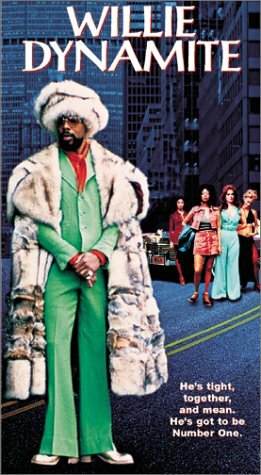 The eponymous Willie Dynamite is a pimp in New York City, who strives to be number one in the city. As he is trying to do so, a social worker named Cora, is trying to change his ways – as well as those of the women who work for him – for the better. It was the first film produced by the Zanuck-Brown Company.